When my NYC apartment building attempted to limit dog ownership, the management released strict rules that included a list of dog breeds over 50 pounds that they said were “aggressive” and suggested that all dogs of those breeds or mixes be muzzled in common areas of the building. These rules influenced my family to move in order to provide a safer life for our dogs — one of whom is a Shepherd mix who would have been implicated in the new building rules. I often think about what we would have done if we weren’t able to move. Also, what if it wasn’t just our apartment building but the entire city that was coming after my dog? That’s exactly what happens when breed-specific legislation (BSL) passes. Pit Bulls are often targeted through BSL. Photography by Colten Tognazzini. 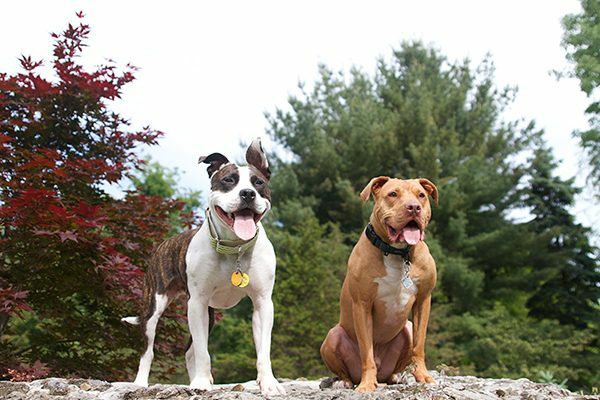 BSL bans or restricts the ownership of certain breeds of dogs who are characterized as “aggressive” — despite the fact that there’s no scientific basis for labeling certain breeds as more aggressive than other breeds. While in recent years Pitbulls have become the face and most visible target of BSL, it is a much larger issue. In the US, over 900 cities across 42 states have implemented breed-specific legislation, which restrict or outright ban the ownership of various breeds of dogs from Chows to Mastiffs. What’s Going on in Montreal with Breed-Specific Legislation? 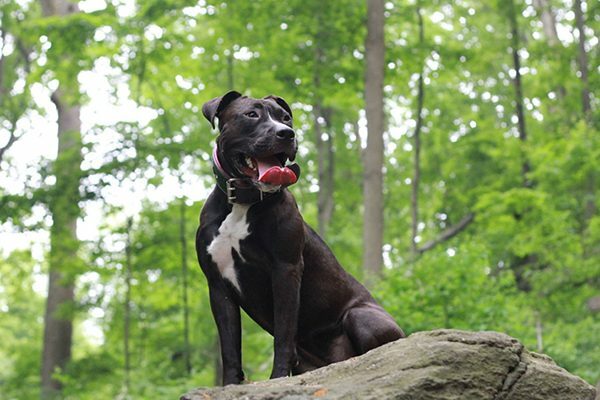 Montreal is targeting Pit Bulls with city-wide breed-specific legislation. Photography by Colten Tognazzini. In 2016, Montreal passed a controversial breed ban, which prohibits the ownership of Pitbulls and Pitbull-type dogs. This affects tens of thousands of dogs, many of whom are of uncertain breeding but have “Pitbull” characteristics: blocky heads, stout builds, etc. The SPCA of Montreal has been a fierce advocate against the ban , and fought the legislation in court. Part of the law, which was scheduled to go into effect last fall, would make it illegal to adopt out Pitbulls. This would mean the euthanasia of physically and mentally healthy shelter dogs who are Pitbull-type dogs or mixes. In an appeals ruling in December 2016, a Superior Court’s suspension of the bill targeting “Pitbull-type dogs” was overturned and the city of Montreal was able to move forward with enforcing this new legislation. In order to keep their dogs, families with Pitbulls had a limited window of time to complete a special licensing process. This process included passing a criminal background check and paying a $100 fee (both required annually), as well as requiring that the dog wear a muzzle in public at all times and only be walked on a four-foot leash. At the end of August, letters were sent to over 500 Montreal Pitbull owners notifying them that their special permits to keep their dogs were “incomplete” and gave them just 4 weeks to provide documentation that their dogs had been moved out of the city of Montreal, or been surrendered to shelters. Many Pitbull owners speaking out in the news believed they had appropriately completed the permitting process. Lola, one of the many dogs victimized by Montreal’s BSL legislation. Photography courtesy Mylène St Pierre. Montreal resident Mylène St Pierre and her dog, Lola, a 6-year-old rescue Boston/Boxer/Terrier mix who is often mistaken for a young Pitbull, learned firsthand how dangerous it is to even look like a Pitbull in the area now that this new legislation has taken effect. Because Lola was determined not to be a Pitbull and was cleared of all charges, she can continue to live with relative safety in Montreal. Unfortunately, the fates of many Pitbulls in Montreal remain uncertain. 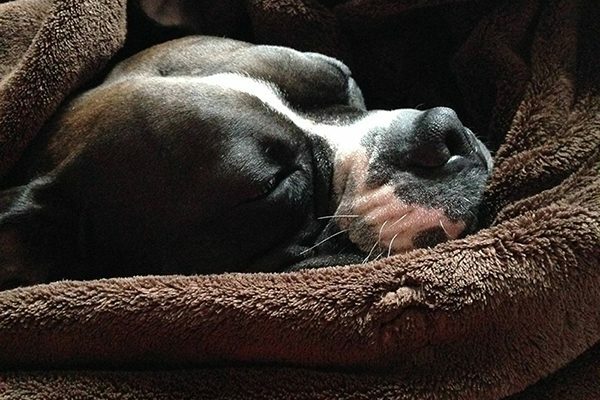 Being aware is the first step toward protecting your dog from BSL. Photography by Colten Tognazzini. Do you have a Pitbull, Pitbull-type mix, Rottweiler, Doberman or a dog that looks like one? Breed-Specific Legislation is something that should be on your radar any time you are thinking of moving to a new city/state, or even if you are planning a road trip with your pup! Moving? Be sure to check for any breed-specific regulations that might exist in your new community and make sure there aren’t any regulations against the kinds of dogs who are part of your family on bslcensus.com. Planning a road trip? Be sure that both your destination and any cities you plan to pass through will welcome your whole family — including your dog! If you must visit a city that has breed-specific laws, understand the logistics ahead of time. Contact the local Animal Control Department to find out if your dog must be muzzled, or if your dog could be seized if you visit the area. Have a dog that looks like a targeted breed but isn’t? Consider carrying a notarized letter from your veterinarian attesting to the breed or mixed breed of dog that you have. You may also want to look into DNA testing so you will have DNA proof of what breed(s) your dog is regardless of how he might look. In the military? Many US Military bases ban Pitbulls, Rottweilers, Chows, Wolf hybrids, Dobermans, Akitas and other breeds of dogs. Contact your US Military Base to find out specifics. Live in public housing? Many public housing authorities across the country have breed-specific bans. NYC NYCHA’s breed ban includes unusual breeds like Boston Terriers. Tell us: Have you ever encountered breed-specific legislation? What happened? Share your story in the comments. Thumbnail: Photography by Demure Dragonfly/Thinkstock. 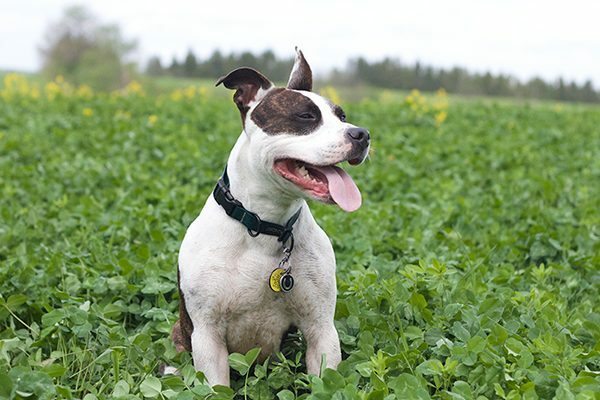 The post Breed-Specific Legislation — What All Dog Owners Need to Know appeared first on Dogster.